Cool off on the 1500 ft. long water slide. 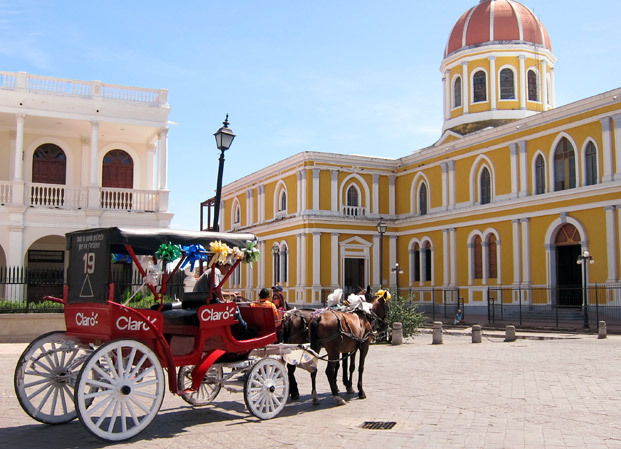 And then horseback riding to the thermal waters, steambath and natural spa, located at the foot of Rincon de la Vieja Volcano. 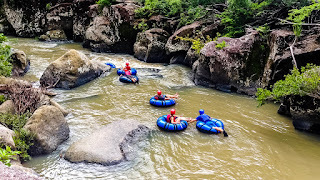 Al this activities makes the adventure more exciting and high adrenaline.Buena Vista is located near by Rincon de la Vieja National Park. In this tour you will enjoy the primary forest on a different way: trails built up in the top of the trees (about 105 feet high). A small hike takes you to the first platform, from there you start swinging to the other 12 platforms, which are connected by 9 cables from 150 to 400 feets long. 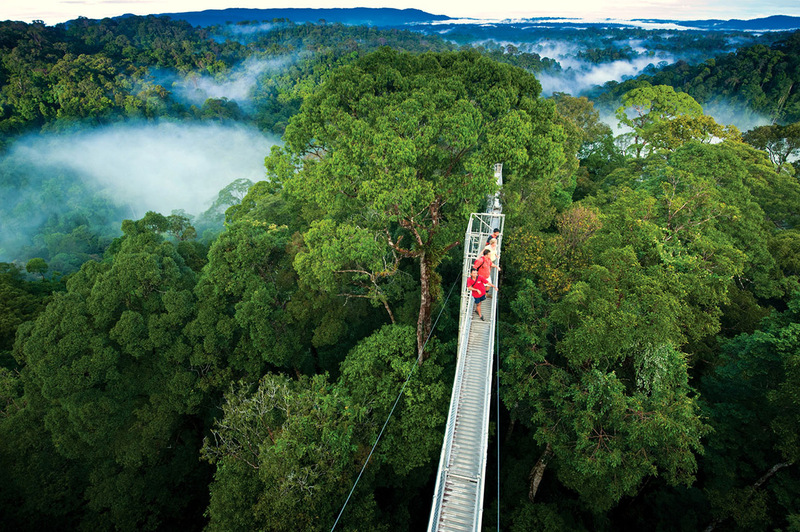 During the canopy, that last almost three hours, you will have the opportunity to observe the surrounding forest from a new perspective…. just like Tarzan!! On your way there you will enjoy the wildlife of a transitional forest ( between dry and rain forest), where you might be able to spot monkeys, squirrels and a variety of butterflies and birds such as wood peckers and toucans. What to bring: Sunglasses, camera, hat, long pants, hiking shoes, mosquito repellent, swimsuit. Includes: Transportation, guide, snacks, lunch. The perfectly cone shaped volcano raises 4.899 feet above the sea level. It has been active since 1968, when it made its largest eruption. Its loud rumblings and frequent explosions of lava and ash during the day create a show that will stun you from miles away. On your way there, you will ride through the heavenly landscape of Lake Arenal, a man made lake that provides water for an hydroelectric plant and for irrigation in the low lands of Guanacaste province during the dry season. After nightfall, the glow of flowing lava can be seen from several points in the area (if it´s not cloudy). 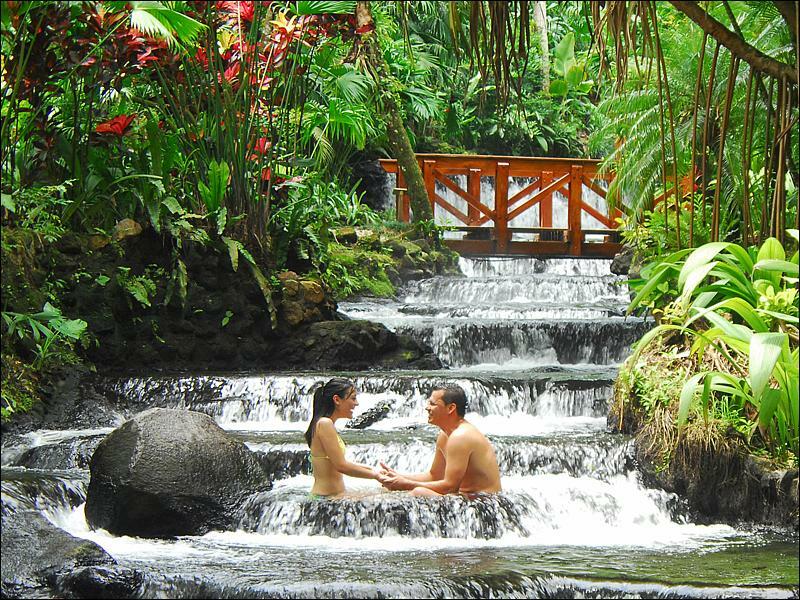 During the tour it is possible to spot toucans, guans, oropendolas, monkeys and coatis, then enjoy the hot springs from the Arenal Volcano. Includes: Transportation, guide, lunch & dinner. For wildlife lovers!!! 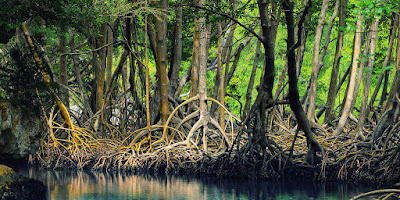 Come and visit Palo Verde, one of the most important and interesting National Parks in Costa Rica. 12 different habitats within the park including: mangroves, swamps, swamps forests, saltwater and freshwater lagoons and marshes. 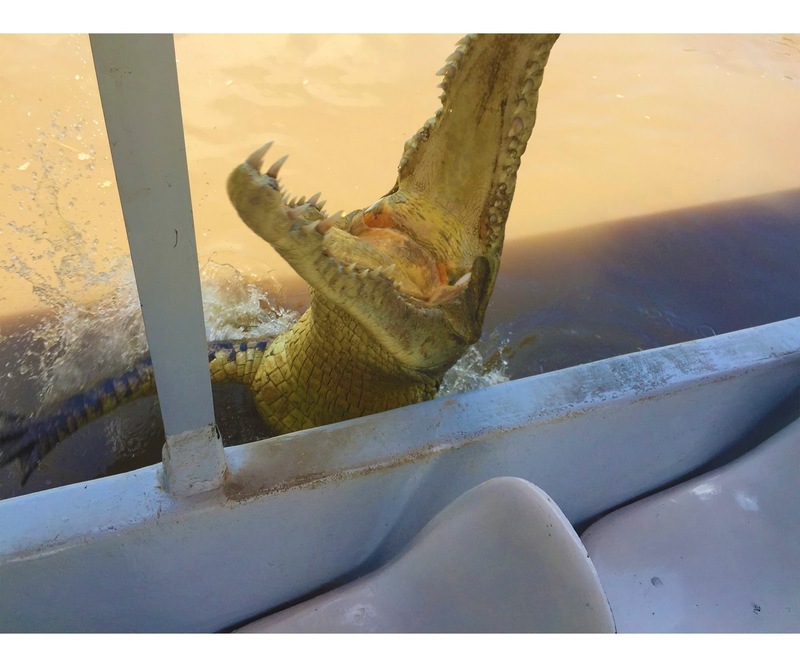 Enjoy a two hours boat ride on the Tempisque River watching the fabulous array of wild birds and a myriad of creatures such as howler and whiteface monkeys, green iguanas and coatis, anteaters and crocodiles. What to bring: Tennis shoes, short pants, camera, insect repellent & hat. Includes: Transportation, guide, entrance fee & lunch. This National Park was created to protect the biodiversity around Rincon de la Vieja Volcano area. Fumaroles, hot mud pools and the eerie steam holes of Las Pailas create an amazing landscape. Our hiking tour for about two hours through this ancient forest shows you temporal Waterfalls, Rincon de la Vieja´s Volcano geothermal wonders, huge trees that protect spider monkeys, leaf-cutter ants, toucans and all kind of great and small creatures. 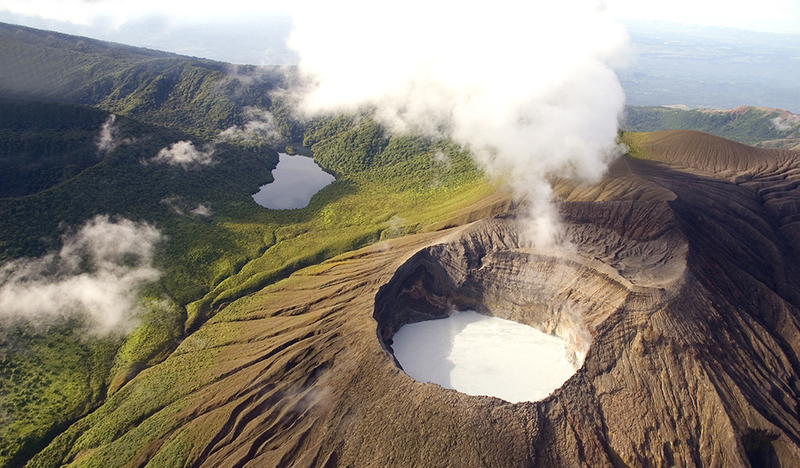 This National Park was created to protect the biodiversity around Rincon de la Vieja Volcano area. It extends over 14083 hectares of semi-deciduous forest and very moist forest and includes a barren rocky terrain at altitudes that range from 1950 feet to 5748 feet above the sea level on the Caribbean and Pacific sides of the Guanacaste Volcanic Mountain Range. Fumaroles, hot mud pools and the eerie steam holes of Las Pailas create an amazing landscape. The hiking tour takes about two hours. During this hiking you will get to see the secondary Waterfall, which is about 195 feet high and is located on a rocky terrain devastated by the volcanic eruptions. What to bring: Tennis shoes, short pants or long pants, camera, insect repellent. Corobici River is perfect if you have been dreaming about the joys of white water rafting. The waters are not rough, but you have to work out to manage them. (the river is class I – II). The tour is two hours of rubber boat trip down the river which is bordered by tropical dry forest, where you will see trees like Ceiba, Mahogany and Guanacaste. You may see are exotic birds, Jesus Christ lizards and monkeys. What to bring: Sandals or wet shoes, sunscreen, change of clothes, insect repellent. Includes: Transportation, guide & lunch. 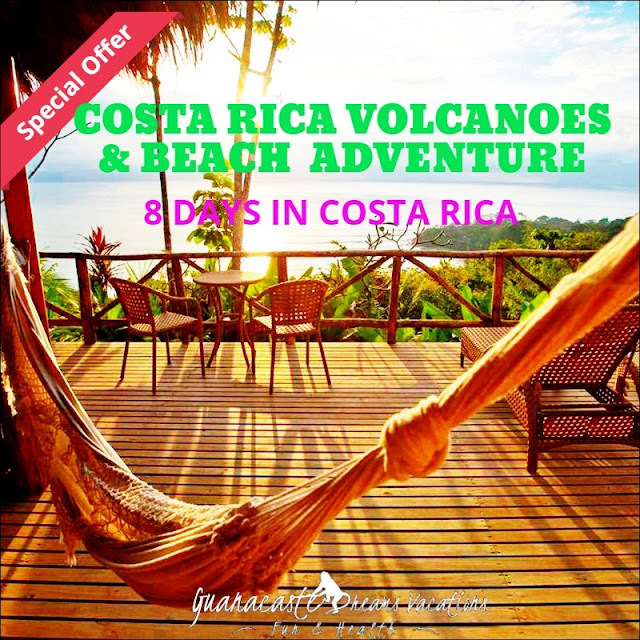 If you are planning a visit to Costa Rica and its wonderful natural attractions, why don’t you also take the challenge opportunity to visit Nicaragua. We will introduce you to the cultural and natural charms of the South Pacific of Nicaragua in a one day excursion, you will be amazed and won't believe all the beauty that has been. Early morning pick up at your hotel, driving ahead to the border, while you can stretch your legs and take a look around the Nicaragua-Costa Rica border, we take care of all the process to leave the country. Once we have this done, our adventure continues with amazing views of Nicaragua Lake and its islands, we arrive to Granada city in the late morning. La Gran Sultana - as it is also known, is a Colonial city, founded by Spanish conquerors in 1524, this city with its 478 years old is considered as the ancient settlement founded in America by Europeans in solid earth that still subsists in the same location as its original foundation. We will visit the most important and historical locations here, after the city tour you will enjoy a delicious lunch in a very charming-excellent service- restaurant. The Masaya market is our next stop,here you can find typical souvenirs, wood crafts, gifts, beautiful hand made hammocks, leather shoes, and a lot more!!! Mid afternoon we drive back to cross the border and return to your hotel. What to bring: camera, shorts, cash & passport. Includes: Transportation, guide, breakfast, taxes & lunch. 100% Day of adventure!!!! The Hacienda Guachipelin borders the area of the Rincon de la Vieja National Park, it has views to both the Rincon de la Vieja Volcano and the Pacific Ocean. This ranch offers many adventure activities to do just in one day, like: tubing, horseback riding, Canyon canopy, volcanic mud pool and thermal waters.Experience a real canopy tour that includes zip lines together with rappelling, rock climbing, tarzan swings, hanging bridges, all set in the majestic canyon. After lunch time, we will be ready for the tubing adventure. A tractor ride trough the dry forest gets you to the changing rooms, after a short safety breafing each one gets his own personal round raft, to get his adrenaline pumping as he rides for one hour and a half down the river. The last part of our trip is horseback riding for about 3km to the Volcanic mud pool and thermal water. Heat surfaces through a crack in the deep geological formations, and boiling mud pools are formed, which emanate a vapor with smell of sulfur. The volcanic mud and water have healing properties. What to bring: Camera, binoculars, swimsuit, long pants, sandals or wet shoes, sunscreen, insect repellent, raincoat and change clothes. Monteverde is one of the destinations in Costa Rica you have to visit.Our tour includes the Treetop Walkways, Butterfly Gardens, Insect and Reptile Exhibitions at Selvatura Park.Come and learn about the natural history of this wildlife sanctuary, about its mammals, birds and plants. What to bring: Camera, binoculars, long pants, insect repellent, raincoat and change clothes. 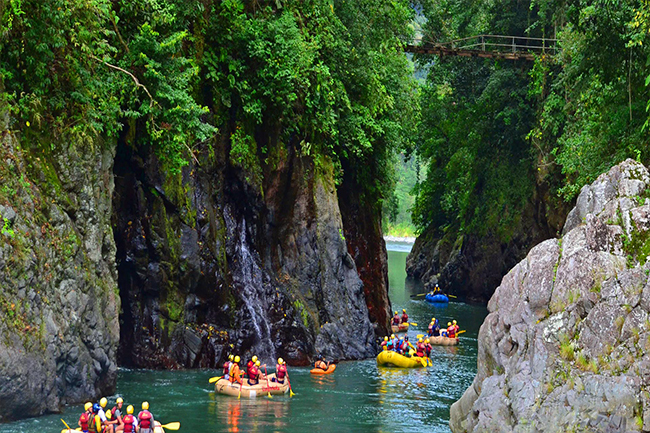 Includes: Transportation, entrance fee, guide & lunch. 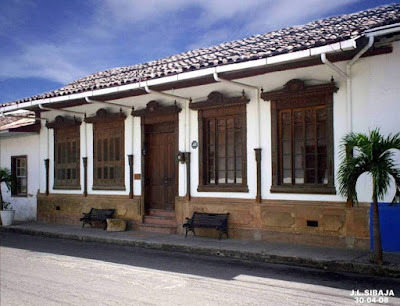 Guaitil is a small village located just outside Santa Cruz, the primary center of Costa Rican folklore. 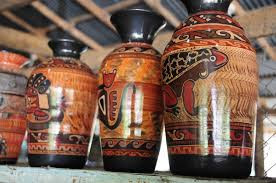 In this town, people make clay pots by hand, decorate them with the earth´s natural colors and fire them in giant wood-burning ovens, just as their ancestors, the Chorotega Indians, did. The Chorotegas, is a group of Indians who ruled the land between Lake Nicaragua and the Nicoya Peninsula. What to bring: Camera, comfortable clothes, tennis shoes, cash and cap. 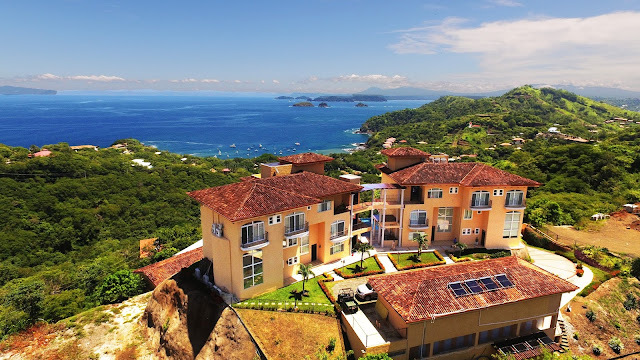 Liberia is the capital of the Province of Guanacaste, that is well known as? The White City? For its gleaming, white-washed colonial homes and for the white soil on which the city sits. Here you can find full service hospitals as well as banking at many national branches. We also visit many souvenirs shops. What to bring: Camera, comfortable clothes, tennis shoes and cash. Tamarindo Wildlife Refuge protects a large estuary, mangrove forest and tropical dry forest in an area covering almost 500 hectares. This time an small and slightly boat takes you to the narrow canals observing on both sides at time. What to bring: Camera, comfortable clothes, sandals and hat, sunscreen & insect repellent. After one hour driving approximately, we arrive at the site, where a tropical – dry forest and its high trees are surrounded the area. Once we get there the tour guides will get you ready for the ride of your life. After a short hike we will come to the first platform, ready for instructions to start flying down the suspended cables. 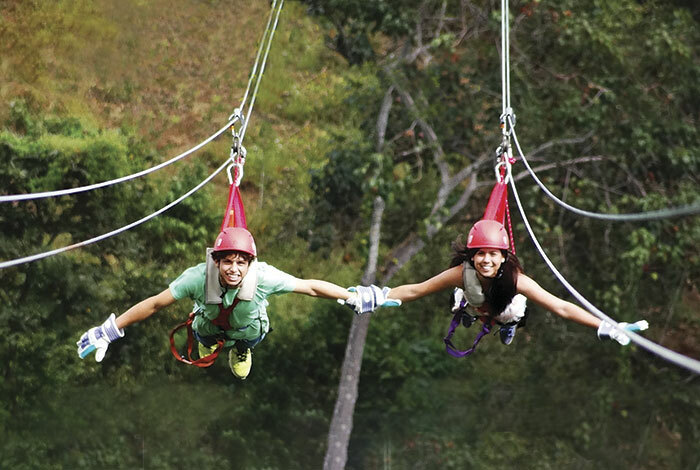 This canopy is located in a little town named Artola very close to the beaches of Ocotal – El Coco – Hermosa – Conchal – Tamarindo and Flamingo. Enjoy your day flying down the suspended cables and come across a walk bridge between two platforms, this is a truly exhilarating and exciting experience. If we are lucky even the Howler Monkeys will be our company during a part of the canopy. During the tour we will come across a walk bridge between two platforms, this is a truly exhilarating and exciting experience. If we are lucky even the Howler Monkeys will be our company during a part of the canopy. 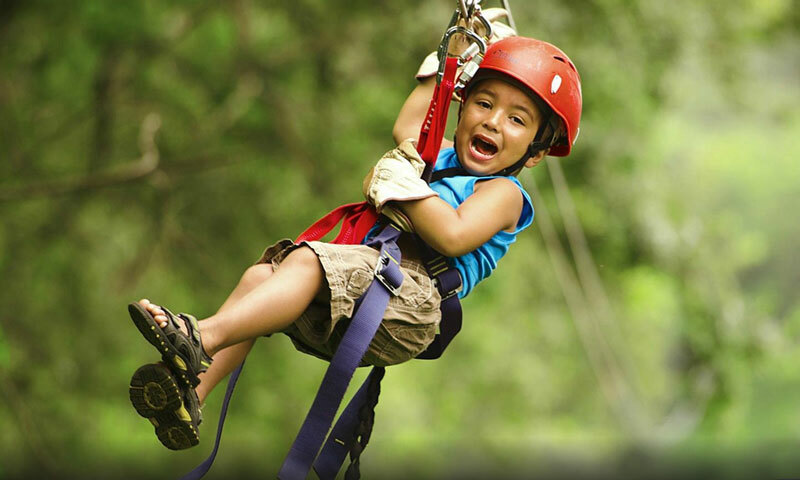 Come and get your adrenalin pumping and enjoy the beauty of the forest and wildlife. What to bring: Camera, comfortable clothes, tennis shoes, sunscreen & insect repellent. The Beach BBQ Adventure is a private boat tour that explores the waters of the Gulf of Papagayo and Snake Bay, capped off by a gourmet BBQ on a nearby beach. Your activity-filled day can include snorkeling, fishing, or diving off the boat; lounging on the beach; exploring the coastline on stand-up paddleboards; enjoying a nature hike along the beach; boogie boarding, inner tubing or surfing; or any number of activities (weather and conditions permiting). From the boat and the water, you’ll search for some of the best marine life around. The tour explores a variety of beaches as well as estuaries, offering a glimpse at hard-to-reach and unspoiled parts of the region. The highlight of the day for many is the BBQ lunch, prepared using the freshest and best products available and served on a secluded beach under the canopy of coastal trees. Throughout the day, guests can enjoy assorted snacks and drinks served on board the boat. This personalized tour is perfect for a group with different interests, including those with children, and is offered year round. The itinerary is developed based on weather and water conditions. What to bring: Camera, comfortable clothes, sandals and hat, sunscreen & insect repellent. Includes: Transportation & guide. · If this trip is not what you are looking for , tell us what kind of travel experience you need. To get started Click Here.